After asking for your questions on Google My Business, our virtual mail sack got so full that we held two webinars with Google Top Contributors to get to the bottom of your GMB issues. You can watch the recording of the first webinar in this series, on GMB Troubleshooting, here. This is usually for businesses in the same building as another business in the same industry (e.g. lawyers). Often the business that is performing best organically is the one Google will pick, and then filter all the rest. Focus on signals that impact on organic, like links and on-site optimisation. Category association is important, too. Often businesses use a category that’s similar to what they are, but not completely accurate (e.g. ‘physical therapist’ vs ‘physical therapy clinic). Look at the ranking businesses and see what their categories are. Which signals are they beating you on? Look at reviews and organic ranking, and perform a deep analysis of what the unfiltered business is doing right, then do it better. Google is using Possum to remove duplicate GMB listings, but there are unwanted consequences, such as filtering out unrelated businesses in the same building. Google wants to list the best businesses first, but with filtering, if all the best businesses are in the same building, you aren’t necessarily seeing the best results. Google has moved away from demonstrating their comprehensiveness, and are now focusing on optimising speed and ease of use. If you win in content, links, proximity or reviews you can probably get in the 3-pack. You don’t need to win in all of them. No, they don’t have the ability to do that. There’s not just a wall between those who work on the algorithm and those who do manual work, it’s more like a demilitarized zone where no-one is allowed to talk to or influence those working on the algorithm. It’s not really possible to diagnose and help someone quickly with an issue like this through the GMB forum. You can get some good advice but it’s best to take it with a pinch of salt because it’s not possible to provide a ton of actionable advice in such a short space of time. Claiming or verifying your listing doesn’t improve your rank. Google wants you to do that because they can be confident the listing is fresh. The ranking algorithm is trimodal. There are three parts to it: proximity, relevance and prominence. In any given city or location, Google might look at one or another of these in deciding who to rank. Google looks at a lot of ‘invisible’ signals (e.g. high-performing listing, web page strength, third-party reviews) so there are a lot of aspects to it. Proximity is distance between searcher and business. Sometimes it’s the most important factor in ranking, sometimes it isn’t. You can’t influence proximity, but the other signals can outweigh it if they’re strong enough. Relevance is to do with the categorisation of the listing along with all the other signals Google looks at to find out what a business does (category, category on third-party sites, content of the website, link anchor text, reviews, etc.). Prominence is a bit of a tie-breaker and refers to how popular you are in the context of this search. External top ten lists and reviews have influence on this. We’re in a semantic search age. Google is always looking for meaning. How can Google trust that an entity is what it says it is? You should tie all the bits and pieces of facts about your business (e.g. Wikipedia entries, articles on authoritative websites) back to your local entity. Any blog content you have you can control, ensuring that the data points in your GMB listing line up with it, your citations and what people are saying about your business. It’s about having consistent information across these data points and having users validate that information. In Google+ posts, you can insert, in an honest way, hashtags for the different types of cities that you service, or even the hashtag of the zipcode. Also, just mention the city itself in the context of a Google post or a blog post. Use this type of semantic search technique to influence the relevance in Google. Search type does affect the rankings, though. Bear in mind that for someone who searches ‘pizza near me’, proximity is always going to be the strongest factor. For service area businesses who want to get wider visibility in adjacent cities, they have to acknowledge that Google doesn’t owe them marketing coverage in that area. However, you could open a legitimate office in that area, you could even open a fake office in that area (a high-risk strategy but it might work), you could take out AdWords in that area, targeting via the zipcode, and you can target by location in Home Service Ads. From an organic point of view, you could do link-building in that area. Density of industry is going to be an important factor. As Google is rolling out Home Service Ads, if you don’t display your address you actually get removed from the local pack. Joy Hawkins published an article about this in Search Engine Land today, ‘Are Home Service Ads the death of home-based businesses on Google?’. A home-based business should be able to technically list their home address as their business address if they have proper signage at their home and if they’re willing to be “staffed” (by someone who could engage customers from your home address). Every SAB should start to think about opening an actual office or turning their home into a storefront. Google isn’t announcing which cities HSAs are moving into, so just assume it’s coming to your area and prepare for it. Even in certain industries where HSAs aren’t applicable yet (e.g. carpet cleaning), we’re still seeing listings without addresses being removed. We have no idea which industries or locations HSAs are going to be open to yet. It appears Google is testing this. Industries chosen seem to be on a city-by-city basis. Check out this great article by Tom Waddington, ‘The Impact on Home Service Ads on Service Area Businesses’. He’s a domain expert in HSAs. If you have lawyers in the same practice vying for each other’s business, that’s a business problem, not just a listings problem. You need to figure out, as a business, how you want to deal with that issue. Do you want to promote your individual lawyers or focus only on the practice? If you’re a lawyer yourself, practitioner listings can benefit you. You could also very well create your own marketing strategy as a provider, develop your own website and content and compete against other practitioners in that space. If you’re the business owner, it’s not encouraged that you create separate listings for each practitioner, as it will be their own listing and not yours. If they leave your business, you lose that listing, including all reviews. It’s better to have one strong profile with 100 reviews on it than four profiles with 25 reviews each. The only exception to the rule would be if the lawyers all had very specific focuses and different categories. There’s a budget factor, too. It can be expensive to manage so many listings. You also have to deal with the fact that Google may change the algorithm and start ranking the practitioner above the practice. The ranking game distorts our view of what’s important. To some extent, Google is getting better at finding the things you’d focus on in traditional marketing (quality of business, quality of customer experience). 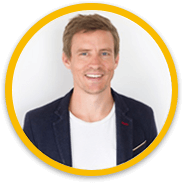 You don’t optimise your business to get reviews, you optimise your business to earn them. You want to prioritise the basics of running a good business, and make sure that is reflected online. AdWords and organic traffic don’t impact one another, so not having an ad isn’t going to make your local listing not show up. But you could try creating an ad for both the map pack and the 3-pack to get two of the four spots. Website authority doesn’t have much of an impact, but the verified reviews in HSAs might be a factor. A good option is to go out there with a big advertising budget and dial it back as necessary. Google is measuring the leads you’re getting through HSAs, and it’s likely to rank you better if you’re quick to respond to leads through HSAs. A potential ranking factor is how many people take advantage of the Google Guarantee in your Google Verified HSAs (whereby Google has to refund the customer rather than the business in cases of dissatisfactory service). It changes the focus in that you’ll likely need to have a “storefront” at your home or office address. It would also have an impact on your AdWords if HSAs launch in your city or industry. It’s important for every business to get involved with HSAs if it’s in their area. Because it’s ‘pay per lead’ rather than ‘pay per click’ it’s easier to see ROI from it. However, it’s harder for agencies with local clients to get involved with HSAs as Google is really savouring the direct relationship with the business owner. You have to think about HSAs as an ad unit. Think about the content in the ad unit. Does it include reviews? You might want to focus on generating good reviews over improving website content. And of course, provide a great service to reduce the chance of a customer using the Google Guarantee on HSAs. Google wants to make their local search experience immersive and able to answer the question quickly. Whether these things are good for the business or not is irrelevant – the reality is that Google is gigantic and you are not. Businesses need to focus on these individually and make sure that they’re getting what they would expect to get out of them. The local pack is increasingly taking business away from the standard business website. While you should still concern yourself with conversions on your website you now also need to concern yourself with conversions from Google. If there are conversion links in the local pack, you need to make sure that at the moment of purchase, your local listing looks better than the next listing (e.g. better pictures, better reviews, more comprehensive hours, better posts, more compelling content). Check out Mike Blumenthal’s article on this, ‘Google As the New Home Page – One Big Tactical Guide’. Google still needs you to have a website but it’s becoming more of a data source for them, as more conversions are happening from the front page of Google. In this case study, 70% of all digital conversions happened on the front page of Google. Proximity is the strongest ranking factor but that doesn’t mean that a searcher will always see results in order of proximity. There are still a lot of other things Google looks at, but it was the number one ranking factor in Moz’s Local Search Ranking Factors study. There are some industries where it has a much stronger impact (e.g. dentists are very hyper-local because there is a high density of competition). Proximity has fallen into the lap of Google’s Maps team so there’s a ‘map-view’ bias when it comes to what influences local search. For example, the rankings will change based on the viewport (the area you’re actually looking at on the map). Having a regular content on your website, especially if you’re authoritative on the topic, is very helpful. However, do you have the time to provide answers to questions that prospects have? You need to be able to answers questions before prospects have even answered them. If you can tie together pieces of information from around the web (for example, a ‘Top 10 List of Best Plumbers’ from Forbes) and pull out quotes from them, that can increase the semantic relevance of your website, which transfers back to your local SEO. The only thing that matters, though, is conversions. Lots of people obsess about rankings and traffic, but at the end of the day it’s all about conversions. Content marketing can drive ranking up but it doesn’t always have a huge impact on conversions, and it can take a long time. The GMB website function isn’t going to affect your ranking whatsoever. It’s intended for those who don’t have a website. For multi-location clients, the issue is more around the root domain than the type of page linked to, as Google can filter out multiple locations if they share the same root domain. Google is trying to keep one company from monopolising the results. The goal of GMB is to be valuable to the end-user, so anything that helps Google to understand the business better is helpful. Adding more nuance can be useful – Google Posts add this. It’s better to provide more information than less, but bear in mind keyword labelling images and replying to reviews with geo-terms will have no impact. Think about the GMB in terms of optimising the customer experience and maximizing the likelihood that someone’s going to click on you over the next guy. This means great photos, great reviews, compelling posts, and making sure you’re filling out all the attributes. Yes, we’ve seen some impact. People need to realize that it’s about making the posts more engaging, not just filling them with keywords. If you’re a plumber, don’t just create posts that say ‘I’m the greatest plumber’ over and over again, as that isn’t likely to have any effect. Joy Hawkins will be sharing the results of Google Post tests at Local U Advanced in Santa Monica (n.b. you can get $50 off the price of the ticket if you use the promo code ‘BRIGHTLOCAL’ at checkout). These kinds of things definitely have an indirect effect on ranking, as these can improve click-through rate, and that, in turn, can improve rankings. But doing this kind of thing alone is not going to move the needle. Another benefit of regular updates of the listing is that it helps the listing’s strength. This means that if a competitor or user attempts to make an edit on your listing, Google knows that you’re regularly updating the listing and will be less likely to accept their edit as it knows the listing is being well-maintained by the owner. Any source that Google knows goes to the trouble of making sure the business really is where they say they are is going to be a verified data source taken into consideration. This includes things like professional organisations, the Better Business Bureau and industry-specific approval sites. They’ll continue to work on Maps features, giving businesses a little more control of (if not a little more say on) what’s happening with Maps. Think of the Q&A feature being added to Maps in the same way as reviews are today. The strategic reason that Google runs Google My Business is to get correct data on Google Maps. Anything that’s going to entice people to go into the Maps interface and supply them with the correct data is something they’re going to focus on. As long as it doesn’t interfere with or block the primary purpose of getting data, Google will use GMB to sell SMBs and large chains things that they might find useful to better their business (e.g. ads and additional services). We could see GMB becoming the standard tool for business, and more functionality added so that businesses in developing markets have access to tools that can help them set up their business online more easily. Google’s focus on the ownership and management of data has allowed them to be more flexible around the data models they use for local search, so we shouldn’t expect them to suddenly change tactics. 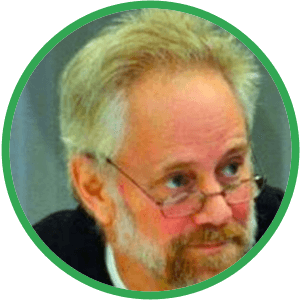 Mike is one of the foremost figures of local SEO, having offered web services since 1995. In 2009 he co-founded LocalU, a company that educates business owners on digital marketing. He writes on all things ‘Google Local/Maps’ on his blog ‘Understanding Google Maps and Local Search.’ He is also the Chief Review Officer and Co-founder of GetFiveStars, a reputation development platform for local businesses. 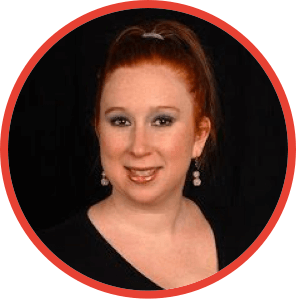 Local SEO expert Joy is a contributor to the Moz Local Search Ranking Factors survey, a columnist for Search Engine Land, and a speaker at conferences including SMX and LocalU. Joy runs a local search agency, Sterling Sky. 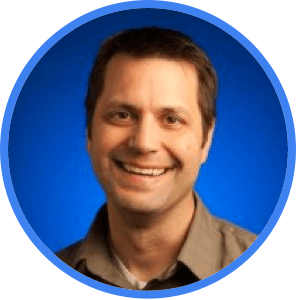 Joel has worked with Google’s Local and Geo products since 2005. Joel is now the Director of Local Search at PatientPop.com, a solution for patient acquisition, retention marketing, and business insights. 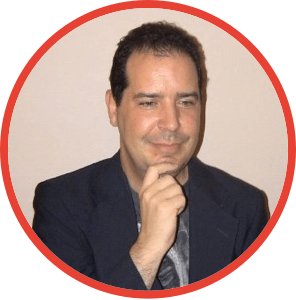 Ben is a Google Plus/Google My Business marketing maven and an experienced SEO veteran. He is a co-founder of Steady Demand, a company that works with agencies and businesses to develop and create engaging social media content. Want to contribute to a future webinar? We’re filling our content pipeline with many more webinars like this. If you’re a local SEO expert and you’re interested in being a panelist or interviewee in a future BrightLocal webinar, get in touch with us at contribute@brightlocal.com.